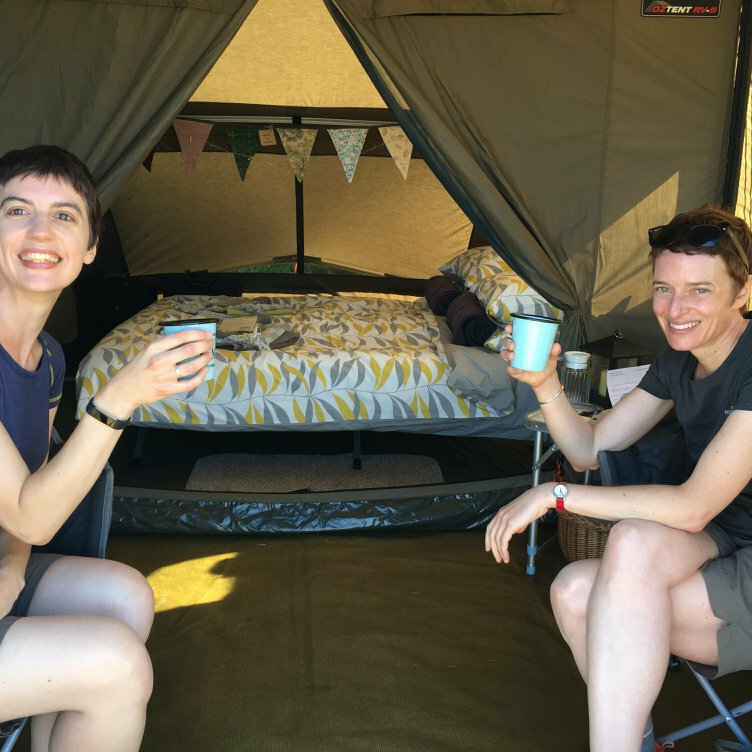 Although we no longer offer glamping or posh camping at Deepdale as part of our serviced accommodation, we do work with some lovely glamping and hassle free camping suppliers, who are very happy to supply you with one of their tents on the Deepdale Camping site. Hassle-free luxury camping for people who love the great outdoors. 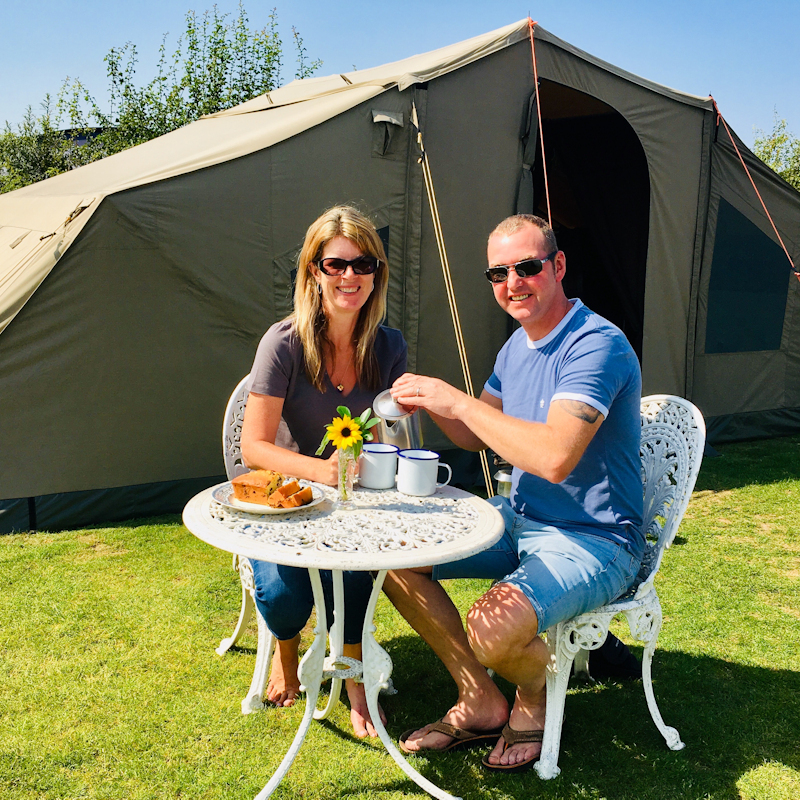 Turn up at beautiful Deepdale to find a fully equipped safari style tent all set up ready to welcome you so you can start your holiday as soon as you arrive. 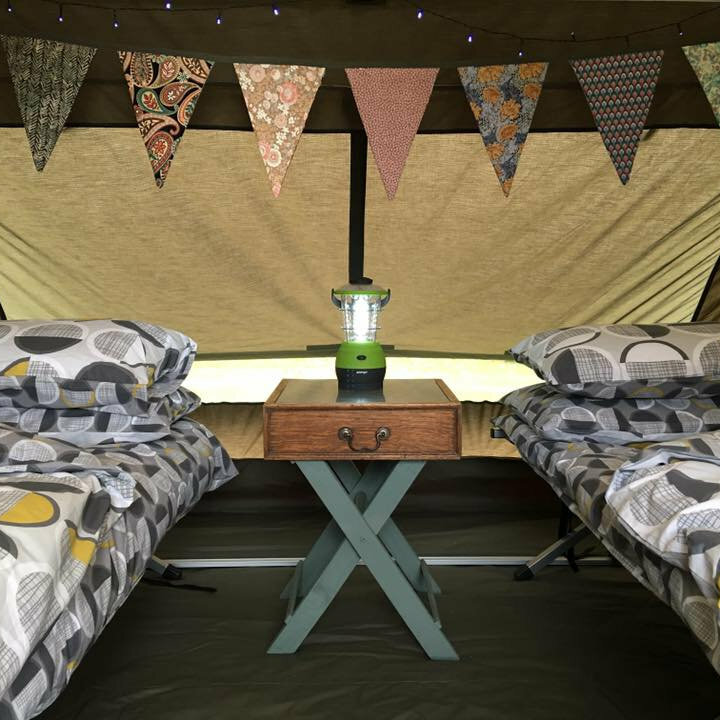 We supply comfy beds and bedding, lighting, a small equipped kitchen with everything you will need, cool box, table and chairs and a fire pit for those long summer evenings. There will even be a welcome hamper of Norfolk produce to get your holiday off to a great start. With 2 sleeping compartments plus a living area in the middle we can accommodate up to 3 adults or 2 adults and 2 children (up to the age of 10). 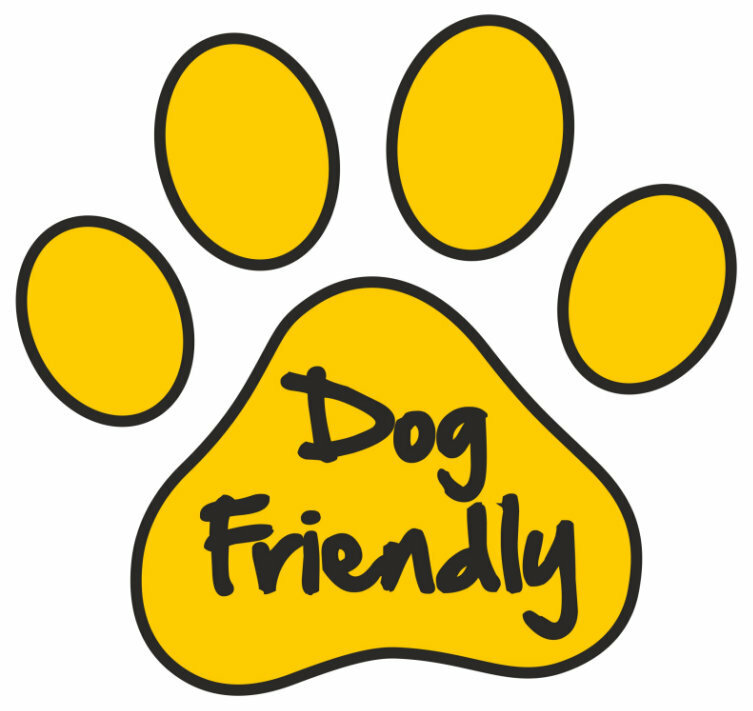 Up to 2 dogs are very welcome and we can even supply dog beds and bowls if needed. 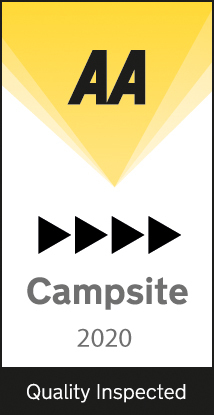 Prices start from �225 for 2 nights based on 2 people sharing a tent with everything above included, including the pitch fees. Single occupancy is available. 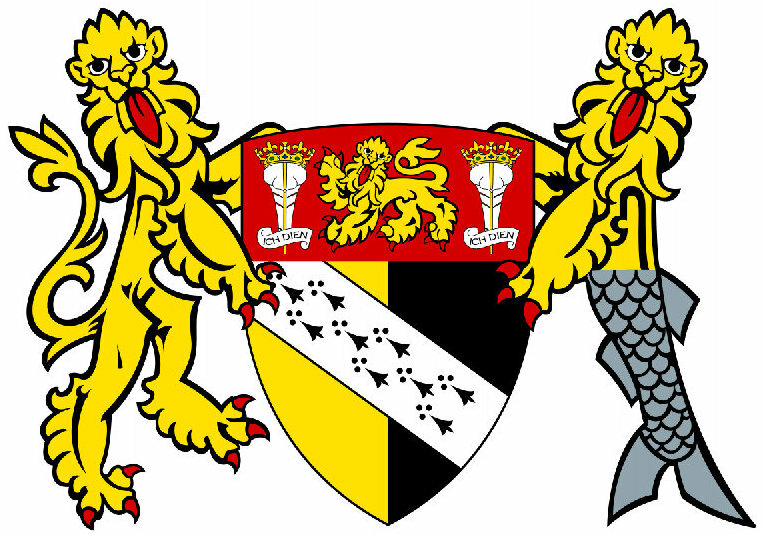 Our season commences on Thursday 18th April and will finish on Monday 30th September. Special Offer: Book 2 nights and get a 3rd night free during the months of May, June and September (Start days must be either a Monday or Tuesday. Does not apply to the week commencing 27th May or the Deepdale Music Festival 27th-29th September. Normal Terms and Conditions Apply). 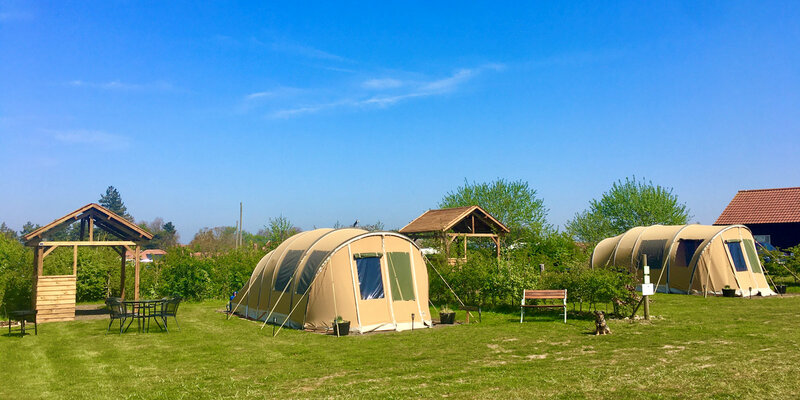 Walking and Glamping Holidays - Immerse yourself in enjoying the Norfolk Coast Path National Trail whilst we set up your accommodation along the way. Click on the links below for more details. Alternatively you could join one of the events here at Deepdale that include Glamping & Hassle Free Camping. Immerse yourself in walking the North Norfolk Coast, an Area of Outstanding Natural Beauty, & experience all that this fantastic coastline has to offer whilst MarGins Walking & Glamping Holidays set up your fully equipped glamping tent along the way. Walk the full 84 miles of the Norfolk Coast Path National Trail while we set up your glamping tents and transfer your luggage along the way.